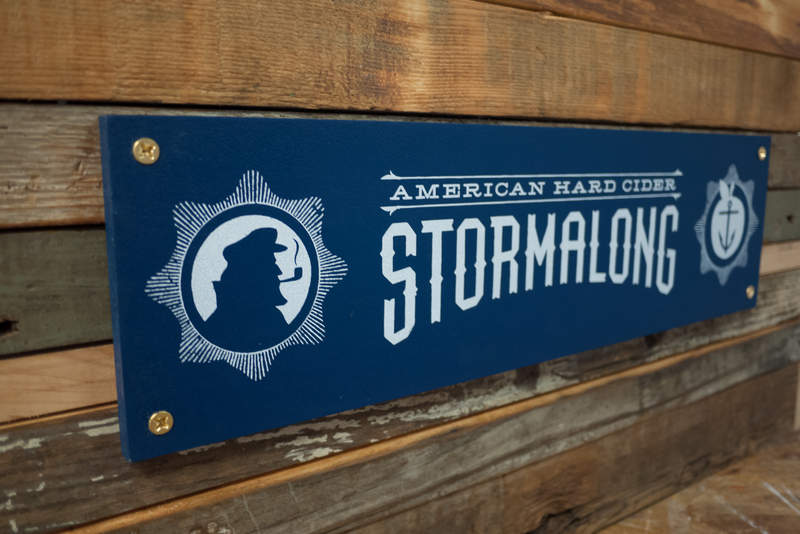 Here is the first of a couple fun projects for Stormalong Cider. 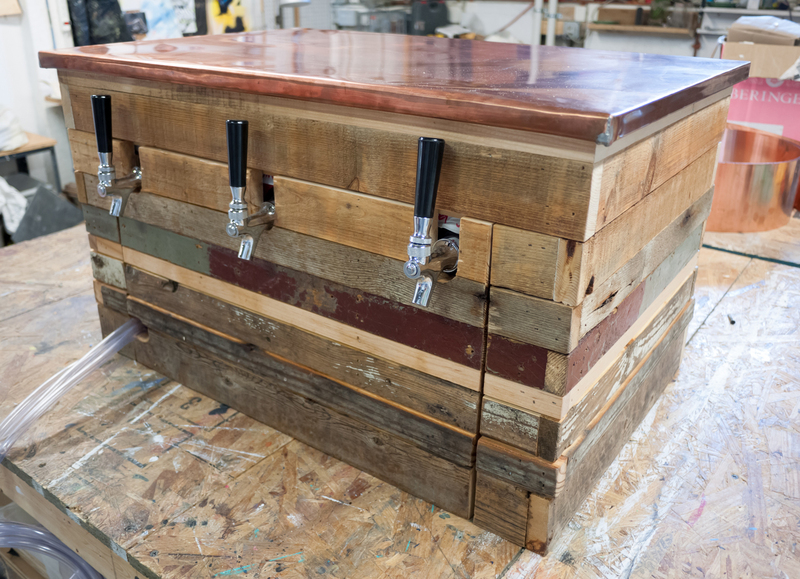 We just built a custom box to cover their “cooler” through which they run their kegs/taps at any events and off-site locations. 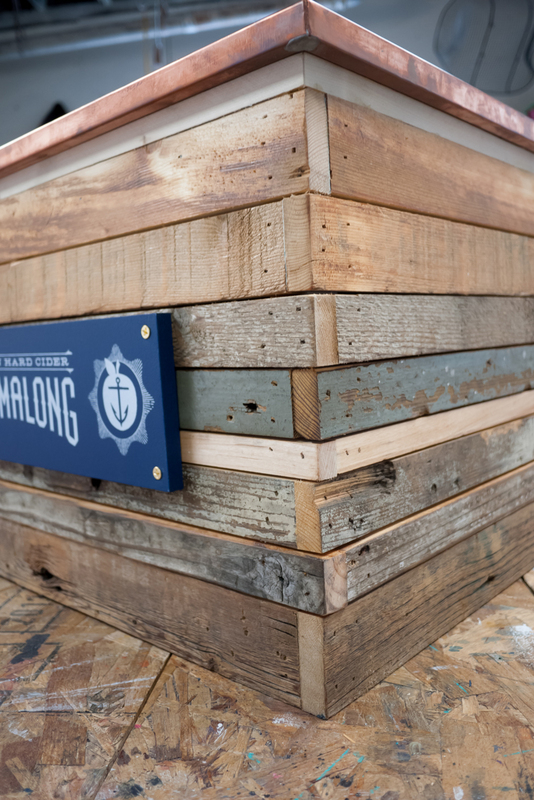 Our design has a few different types of salvaged/reclaimed wood panel on all sides with woven corners and a copper wrapped top. The badge is painted blue and screen printed to get a crisp logo on the front. 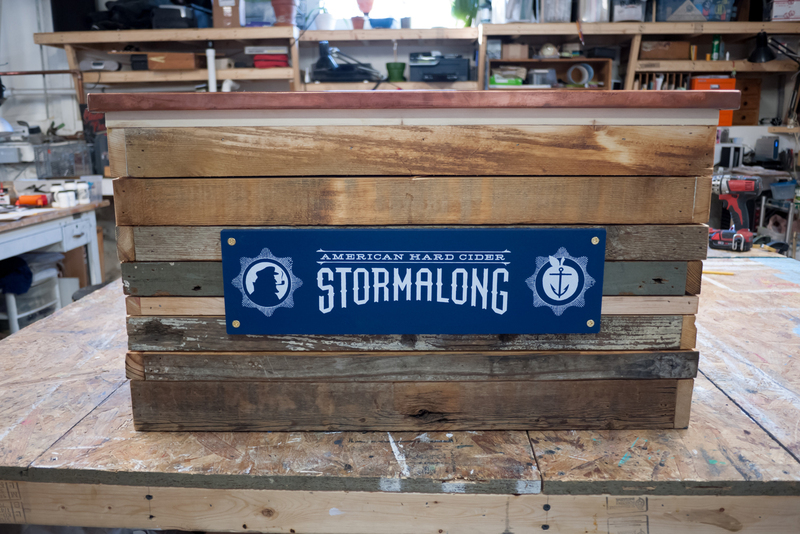 Pretty happy with how this came out and looking forward to the rest of our collaborations!